State Sen. Carlos Uresti, D-San Antonio, could face years in prison and lose his seat after he was found guilty of multiple felonies Thursday. 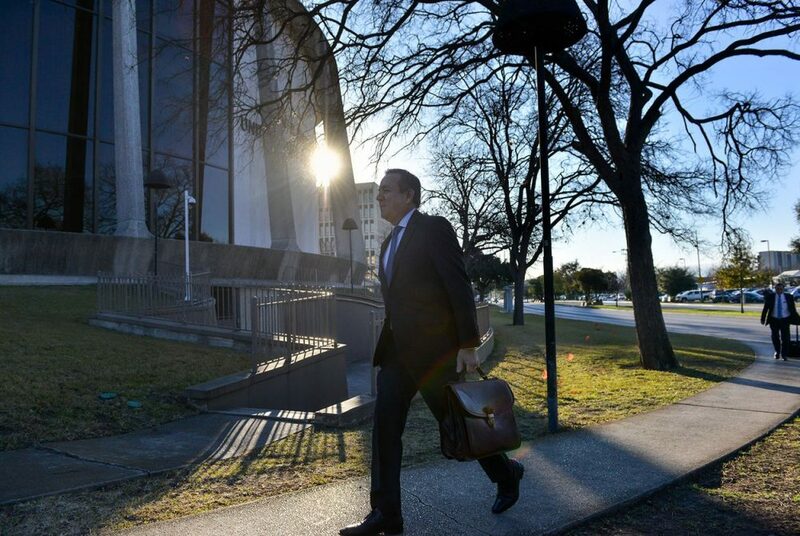 State Sen. Carlos Uresti, D-San Antonio, walks into the federal courthouse in San Antonio on Monday morning, Feb. 12, 2018, as his trial continues. 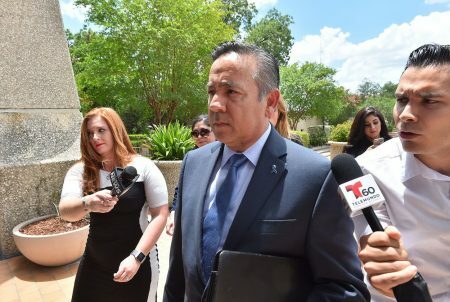 State Sen. Carlos Uresti was found guilty Thursday of 11 felonies, opening up the possibility of years in federal prison and millions in fines, and throwing into question his future as a Texas legislator. The judge will determine Uresti’s penalty in accordance with federal sentencing guidelines. 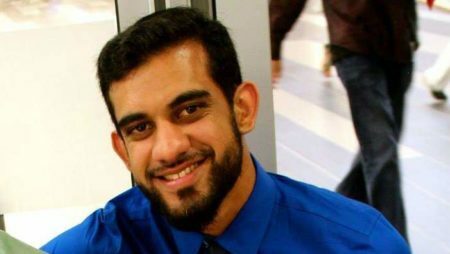 A hearing is tentatively set for June 25. 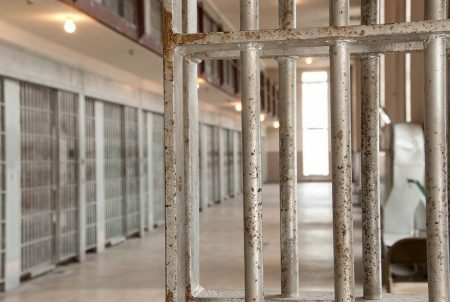 Felons are ineligible to serve in the Texas Legislature, but Uresti could retain his seat while he appeals the verdict. Minutes after the verdict was read, Uresti said he will “absolutely appeal” and has no immediate plans to step down. He’s not up for re-election until 2020. 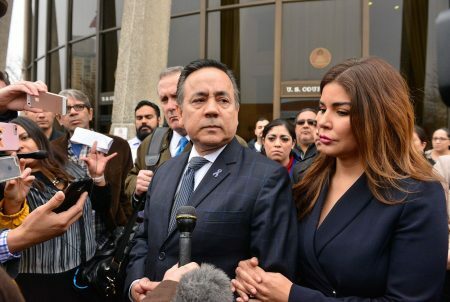 The charges stemmed from Uresti’s association with FourWinds Logistics, a now-bankrupt oilfield services company that perpetrated a Ponzi scheme against its investors. Uresti served as general counsel for FourWinds and owned 1 percent of the company’s shares. He also earned commission for recruiting investors, according to court documents. Several of the company’s leaders pleaded guilty to fraud charges before Uresti’s case even went to trial, some of them in plea agreements to testify for the government. Prosecutors argued that Uresti had used his prestigious reputation to lend credibility to an unknown company; several investors testified that Uresti’s presence reassured them that their money would be safe with FourWinds. But Uresti’s lawyers countered that the lawmaker was never aware of, or involved in, the company’s shady dealings. Uresti is also set for trial in May on separate felony charges of bribery and money laundering. It’s unclear how Thursday’s verdict will affect that schedule. The senator has also faced calls to resign over allegations of sexual harassmentat the state Legislature — charges he has denied.